The Houseparty Go! 2 is a speaker especially conceived for those of us who like to dabble on the wild side, bringing the party with us wherever we go and premium audio streaming at your fingertips. Featuring an all-round 360-degree speaker grill, the Go! 2’s exceptional tone clarity and booming bass fill any space with the rich, crisp sound of your favorite tunes. 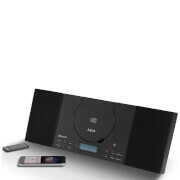 House parties, birthday bashes, barbecue bonanzas or spur-of-the-moment get-togethers are all made easier and more enjoyable when you have uncompromising Bluetooth packed into a speaker that can lie down or stand-up. The hand strap makes it even more portable. The HouseParty Go! 2 is just as practical as it sounds good. 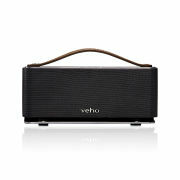 Not only does its rechargeable Li-Polymer battery ensure you have up to 8 hours of audio delight, the Go! 2 is capable of serving as a back-up battery for when you’re in a pinch. Just simply plug in your smartphone or music player to tap into some extra juice when you’re running low - perfect for when you’re on-the-go. A universal line-in port also allows your friends to hook up their own devices. Sharing is caring after all. Charge external devices on the Go!